All patient information entered into our practice management software. All payments from insurance companies and patients are posted. Electronically file all claims when possible (secondary claims sent via paper) within 72 hours of receipt. 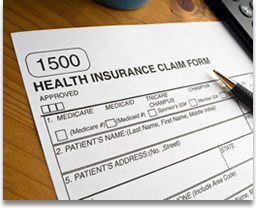 Follow up with insurance companies on aged or denied claims, including appeals. Produce and mail patient statements monthly as requested. Weekly bank deposits made directly into your business account. HIPAA compliant and 100% confidentiality guaranteed. We offer discounted pricing on a three-year contract. Our employees work as a team and all are cross-trained on every account. Benefit from over 20 years of medical billing experience. References and phone numbers available (permission already granted) from our current clients.